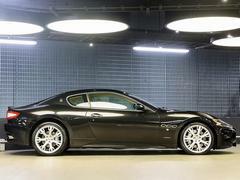 In a feature you'll be able to read very soon, PH recently required a Maserati GranTurismo. Why? To celebrate the V8, put very simply. See the naturally aspirated V8 doesn't appear long for this world, so we wanted to bring some of the new ones together while it was still possible. That's to follow soon; what we're here to celebrate right now is the GranTurismo generally. See it's not a car that gets a great deal of attention at the moment, what with its age and Maserati's focus on SUVs and diesels, though it really deserves recognition. Because, despite some significant flaws, it remains fairly wonderful to drive. And that engine, as will be discussed at a later date, remains so special. Perhaps more so than it ever has, in fact. 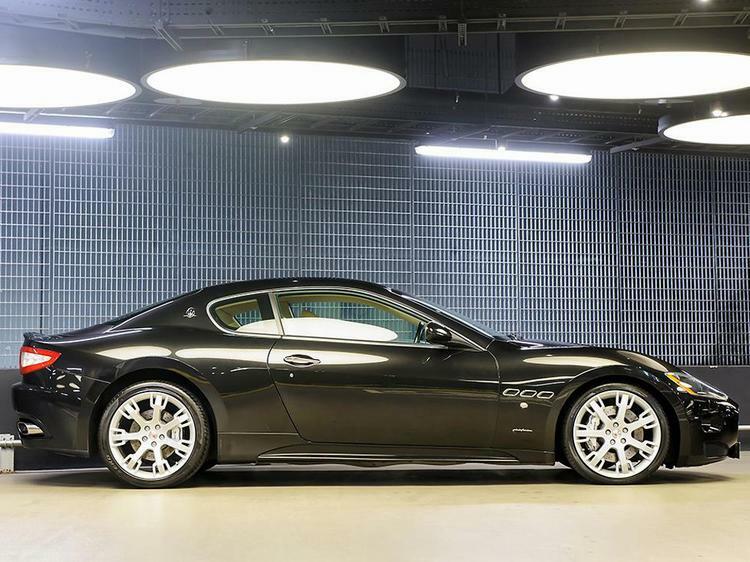 The trouble with recommending a new GranTurismo is that the car is old now, and there's no shortage of alternatives at the price point. 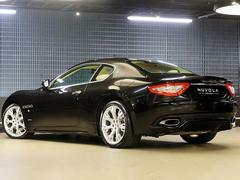 As a used buy however, the GranTurismo prospect looks far more enticing. 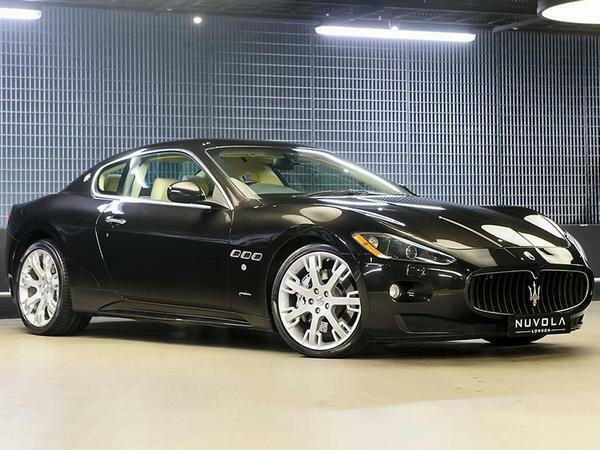 Consensus usually is that the 4.7 S is the engine worth having, giving the GranTurismo the power it always really needed. That update also saw the option of both automatic and automated manuals introduced, the original car having been launched with an auto. This particular car has the MC Shift gearbox which, in truth, is probably a bit too racy for grand touring aspirations, though some may appreciate its fiercer nature when driving a bit faster. Moreover, where the auto was mounted with the engine, the MC Shift was in a transaxle out back, which took weight away from the nose. 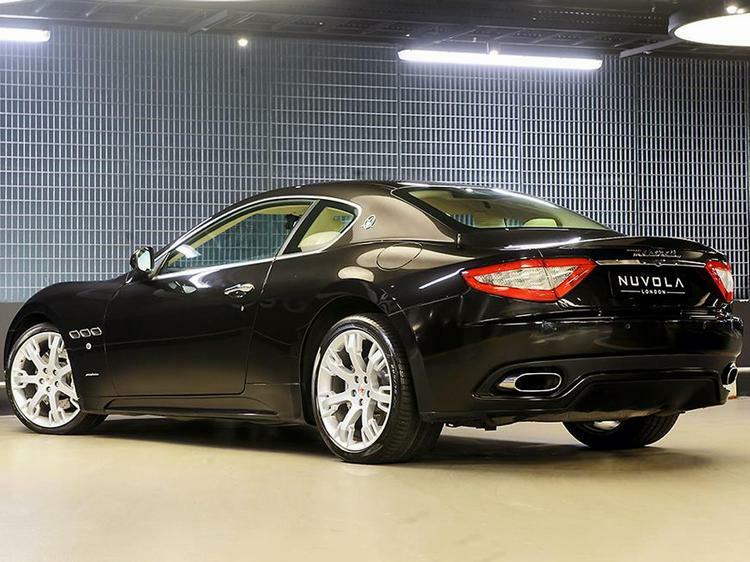 The choice is ultimately personal preference, though this car also appeals for its colour combination, full Maserati service history and warranty. Fear not, however, as the GranTurismo is not known to be plagued by problems; as the PH Buying Guide shows, if you keep on top of servicing and a few minor issues (often associated with early cars) it needn't be troublesome. And it's £40K! In fact 4.7s can be had for even less than that, this car available at £33,990 thanks to its mileage now being more than 50,000. 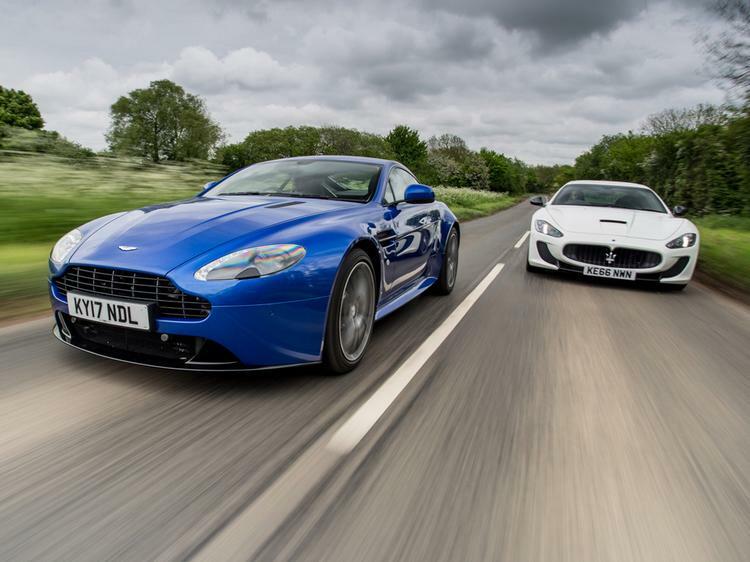 For this much style, drama and performance, that doesn't look like an awful lot of money. You can pay more for later, lower mileage cars, though what's on offer at £40,000 seems enough for most. Well, at least as far as GranTurismos are concerned. 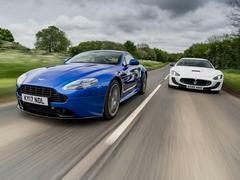 Also part of the V8s shoot was an Aston V8 Vantage, another very pretty sports car that's been around a fair while now. It's also a car that was revised in 2008 to bring a larger 4.7 engine, making it the car for many that it always should have been. And there are cars like this manual one available at £41,999. What a decision to have to make - where would your £40K be going? Well at least now we know where the money that was supposed to be paying for the development team to implement https went! I test drove one towards the end of last year. Despite being a Maserati fan, I found this car too flawed. The engine interior and auto box are lovely but the seats are way too firm, the boot non existent, and road noise too loud to make it a good GT car. I ended up with a new mustang which makes a far nicer companion for long stints with luggage, despite a lower rent interior. Love the look and sound of the Maser but they sounded like a money pit when i started seriously looking, with poor dealers. For some reason I read that as "I ended up with a new moustache..." and it seemed to make sense at the time. 40k to buy, then the rest of your money to keep on the road, nah.